We are a direct pay practice offering price transparency. This means we do not accept insurance. While this approach may seem different at first, once a patient has seen the benefits that this model offers they will embrace direct pay medicine. We have all spent an hour or more waiting to see a doctor, finally get into the room and then only to get a couple of minutes with the doctor. A lot of what drives that behavior is the high overhead that insurance billing incurs. 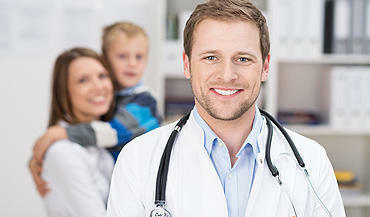 At O'Brien Medicine you will be given the time that is needed to truly address your health. This includes treating with the best treatment not just the treatment that your insurance company prefers. The difference you will see at O’Brien Medicine: developing a one-one relationship with your provider, an unhurried atmosphere, a focus on wellness and preventative care, little or no waiting time in the office, a prompt return on your calls/messages, and same day appointments offered. The office will provide you with an itemized receipt, including medical codes, at the end of your consultation that may be used to file with your insurance company (except Medicare). We will show you where to send the itemized receipt for reimbursement. You may also use pre-tax dollars from a Health Savings Account (HSA) to pay for your office visit and lab fees. The visit can be used towards your deductible and can be submitted for flexible spending reimbursement. Also insurance will still cover labs, testing, and any referral visits needed. We do not participate in Medicare and therefore Medicare patients should not and cannot file for reimbursement. Medicare patients will be asked to sign a form prior to your visit that acknowledges you understand that you will not be able to file this visit through Medicare. When medical practices participate in insurance, the providers must sign a contract that allows the insurance company to decide the type of care the doctor will provide. Insurance companies are often not interested in preventative-wellness care, but are highly invested in the conventional model of medicine. Prescription medication and surgery are often covered charges. We, on the other hand, are committed to treating the whole person. Furthermore, medical providers that are participating partners in insurance company programs must accept the fees designated by them. These fees cover only the briefest of appointments. Under the conventional medical model a recent study showed medical providers spend only 8 minutes with patients (NY Times May 30, 2013). Providers are forced to see as many patients as they can per hour in order to keep their offices financially functional. We don’t believe long-term health and the best care for the patient can be provided with these time and fee constraints. This is why we are seeing many physician groups merging with larger hospital settings, where high-tech surgical and diagnostic procedures are priced to keep them financially afloat. At O’Brien Medicine we are passionate about what we do and feel that it is our calling to provide you with the highest quality health care possible. We also emphatically believe that we will be saving our patients thousands of dollars of healthcare costs down the road by preventing and treating diseases from a whole body approach. We are a combination of old and new thinking that results in a better model for the modern delivery of health care. Simply stated, our goal is to put the needs of our patients first.